We are dedicated ski and snowboard accommodation specialists, providing a one stop website for snow holidays. We are skiers and snowboarders. We get it. 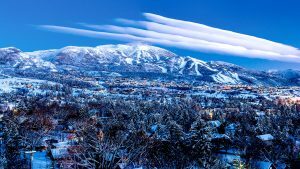 We understand the nuances of ski vacations & snowboard holidays; and the complexity of choosing ski destinations. 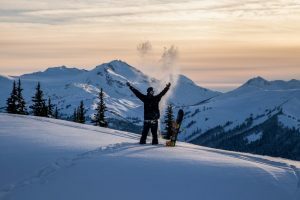 A snowboarder celebrates the powder snow at Whistler Blackcomb; located on the west coast of British Columbia, Canada. 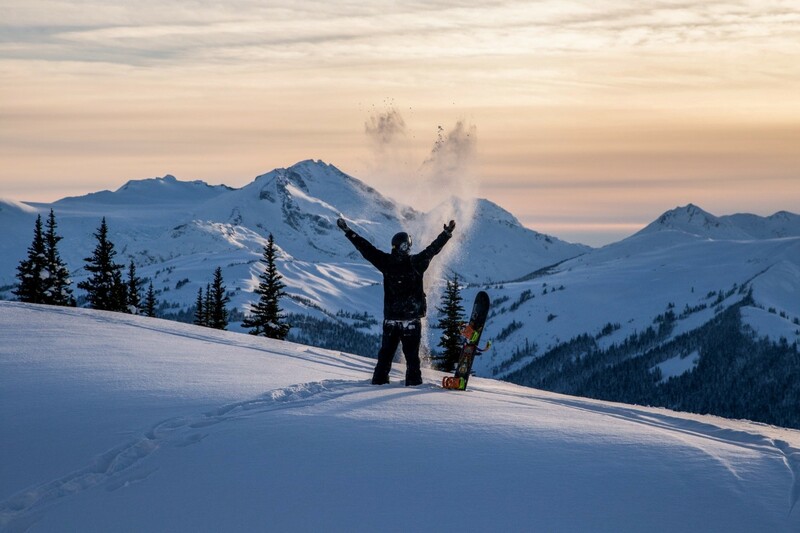 Photo credit: Whistler Blackcomb, one of our preferred snowboard holiday destinations. ski vacations & snowboard holidays. Our website is designed to provide valuable information on ski destinations. You can then make an informed decision, when choosing to visit one or more ski resorts in Canada, and the USA. Our aim is to help you find the right fit for you, your family, and your travel buddies. Let us make your ski vacations & snowboard holidays, what you want them to be. Once you’ve decided on your ski and snowboard destinations; it’s a simple click through to search, book and pay for your accommodations. Twilight at Steamboat, Colorado, USA. One of our top resort picks for ski vacations & snowboard holidays. Look for our Snow How tips. These tidbits of information that make a good holiday, great. For next season: Click and pay for lift passes, rentals and airport transfers.